when we were school friends. cups smaller than my thumbnail. Poet's Notes: Rachel was one of my best friends when I was growing up. We still exchange Christmas cards and occasional emails, but haven't seen each other in a long time. (My fault, for moving to America.) 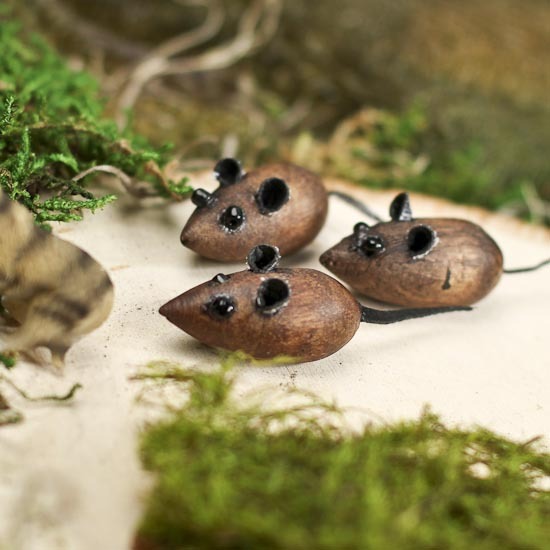 I was very touched when Rachel sent my daughter little wooden mice like the ones we played with years ago, together with a cardboard mouse house that her children had decorated. I regret that our children have never met each other.